Bar Rafaeli recently gave birth to a baby girl, Liv, at Ichilov Hospital in Israel. The Jerusalem Post newspaper reported the baby is healthy and weighs 7lbs. Rafaeli was previously married to Arik Weinstein before moving on to husband Adi Ezra. This marks the couple’s first child, conceived less than a year after they married. The model had announced her pregnancy via Instagram on New Year’s Eve by posting an image of a baby. She then took to Twitter with a bottle emoji along with a positive pregnancy test. Several months later, she confirmed the baby’s gender with a picture of her baby bump while relaxing on a sun lounger. “My girl craved some vitamin D #5months,” the caption read. Rafaeli had previously admitted she really wanted to have kids, adding: “I would love to have kids soon. We keep feeling like we need some more time to ourselves but I think that feeling will never go away. So we will probably aim for children soon, I hope. I don’t think marriage should [change a relationship]. I believe people choose to get married because they are happy with their lives together, so why would we change anything? When it comes to dating, Khloe Kardashian says she will always “straight-up tell a person” if the believes the relationship isn’t working. While the reality TV star is against “ghosting” people, she says it’s okay if the person is persistent about dating. The 32-year-old star had also said that women are judged unfairly when managing relationships. She advises people not to judge a book by its cover and to gather additional details before jumping to conclusions. 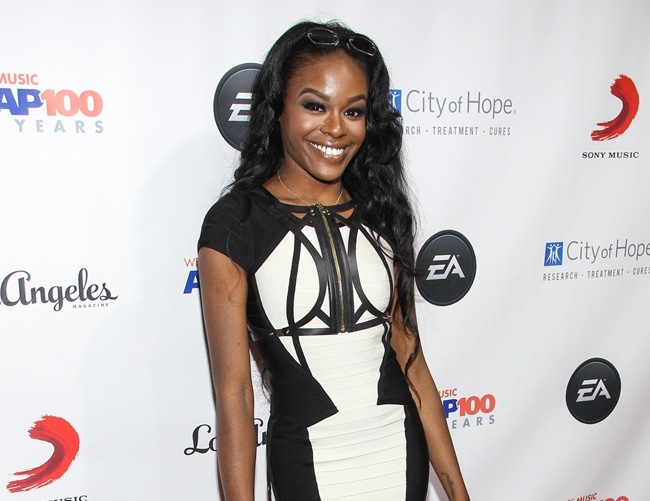 Singer Azealia Banks took to Instagram to criticize Zayn Malik by posting an apparent “transphobic” message. The post was added next to a collage featuring the former One Direction artist from a previous GQ magazine photoshoot. Ironically, Banks had previously expressed a desire to quit Facebook as she doesn’t appreciate being scrutinized and monitored all the time. She added: “I’m seriously tired of peoples feelings. I’m tired of seeing their overly sensitive reactions and responses to everything. I’m tired of having everything I say or do be monitored and I’m tired of being told how I should be behaving. Despite her upfront personality, the rapper had also claimed to be misunderstood. Other artists – including Iggy Azalea, Taylor Swift and Lady Gaga – had also been attacked by Banks in the past, claiming some of them are copying her. Though the hatred was initially directed at the movie itself, Jones was subsequently a victim due to association. “It took Leslie Jones to get them [Twitter] to realize that people are banding together in a violent and dangerous way. And, you know, we can uphold our First Amendment and still protect people in a way that isn’t careless. 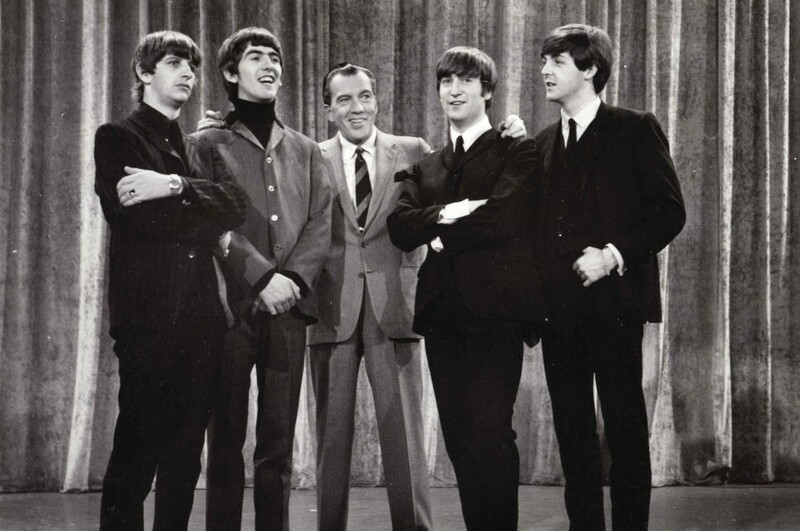 I was really happy to see that …I remember how it feels. It feels like your new reality, like your biggest fear has come true. And then once they’ve come true, you have nothing to be scared of,” she added. 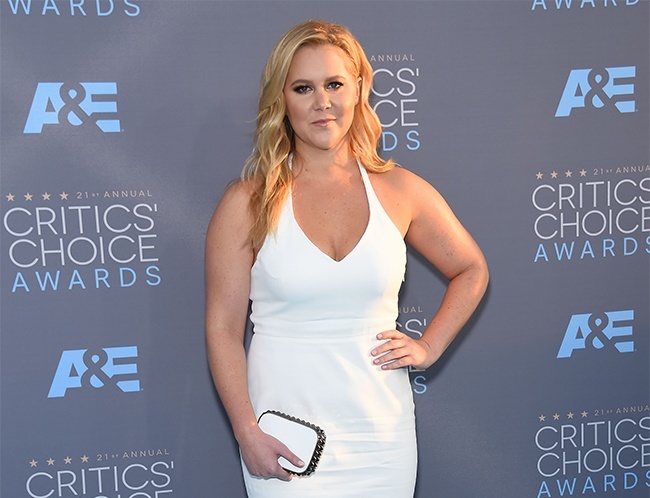 Schumer also talked about people’s hypocritical nature by describing themselves as decent individuals, all while portraying such a negative behavior online. A new movie starting Meryl Streep relates the life and art of Florence Foster Jenkins, leaving many to wonder just who the lady was. Jenkins was a real life figure, a wealthy socialite with a love for music that led her to also fancy herself a performer. An operatic soprano to be exact. Unfortunately she is completely lacking in pitch. In other words, she just plain cannot sing, to the point to being excruciatingly painful for her hapless listeners. 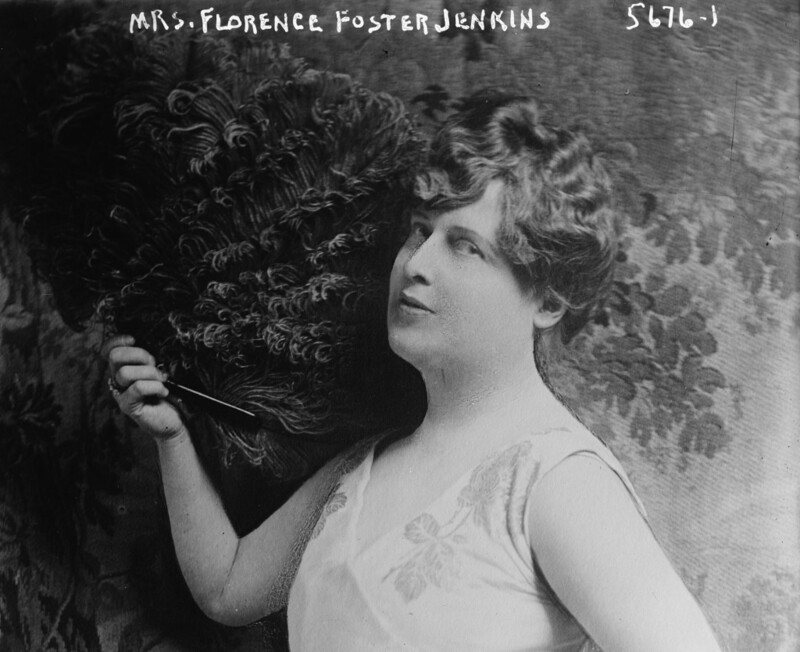 Jenkins contracted syphilis from her first husband, Dr. Frank Thornton Jenkins, a condition some think may have caused at least some of her performance difficulties, as it caused progressive deterioration of the central nervous system. The only treatments available at the time used poisonous arsenic and mercury and surely left additional side effects. By the time penicillin made its appearance, Jenkins’ condition had progressed to the point of unresponsiveness to antibiotics. Despite her obvious lack of musical ability, Jenkins was a popular performer among her loyal Verdi Club members and personal friends, some of whom were secretly paid to attend. She maintained a lifelong belief in her vocal talent, and had no idea the world was mocking her. Her one public performance was at Carnegie Hall sold out weeks in advance, and was attended by numerous celebrities and music critics, who ridiculed her loudly. Two days later she suffered a heart attack and died a month later, Nov. 26, 1944, at the age of 76. The composition Jenkins is singing in the clip below may need to be identified. Queen of the Night, by Mozart. A perfect example of Jenkins’ ability, but no measure of her heart and devotion to music. 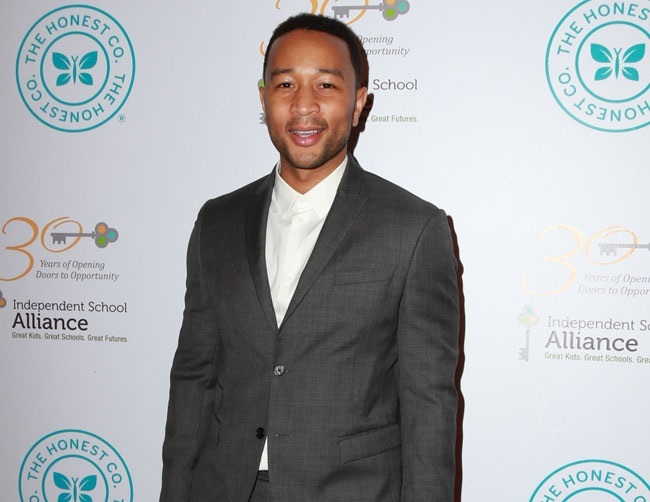 John Legend recently admitted that having a baby has changed the dynamics of his marriage due to the mounting responsibilities involved. He further explained the difference between being with Teigen prior to having Luna and the way things have changed ever since. Meanwhile, the couple had previously revealed they are learning to swim in an effort to be there for their daughter. 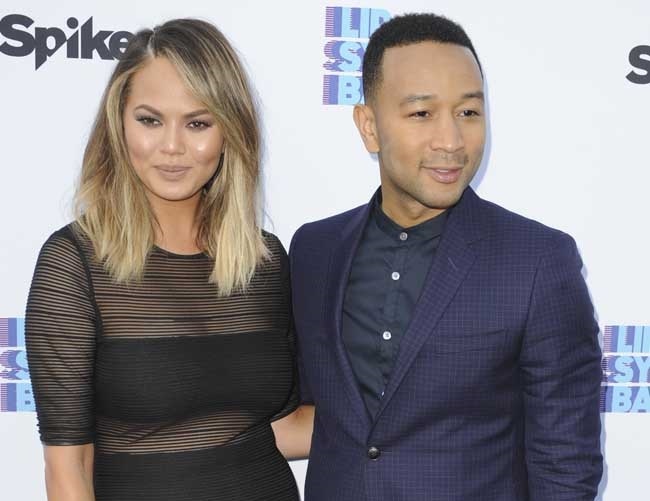 Teigen stated: “I was in the pool today. I can’t swim, but I’m trying to learn for Luna, of course. There is nothing I want to do more than to get her into the water and for her to learn to swim. John can’t swim, either. And we don’t want to be helpless in any way, so we’re going to try to learn for Luna. We’re going to have someone come to the house. Adele is spending the remainder of the year in America while touring and looks forward to enjoying Christmas season in the sun. The artist will subsequently rest in her $7.8 million California mansion once the shows end in November. Her family, consisting of Simon Konecki and their son Angelo, will also be staying. The Hello singer has also controlled her drinking habits, is visiting the gym more often, and has grown fond of organic foods. “Oh my god, Bristol Farms – it’s like a better Whole Foods with brands. I love it. I had a field day there yesterday,” she revealed. If negotiations come through, the singer would perform at Houston’s NRG Stadium on February 5th, where the NFL game will take place.